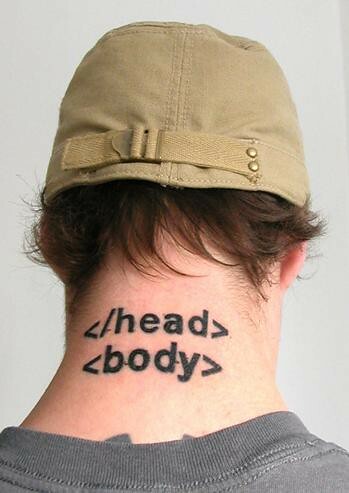 This post outlines the most important HTML elements for SEO. So even if you don’t know any html at all, hopefully by the end of reading this you will be able to check whether you are optimising all the main tags that Google will be looking at. You don’t need to include your company name here because you are likely to be optimising this throughout your site without even trying. So rather than wasting characters it is more important to get the most competitive and the most relevant keywords here. When the spider has read the title tag it the goes through the rest of the document looking for reoccurring instances of the words it has seen in the title to build up a picture of what your site is about. The next tag that it gets to is the meta description tag. Although this tag is not used so much by Google, any keywords that appear in this tag that match the keywords used in a search will appear in bold, and the more words you have in bold, the more your result will stand out in the listings. So far we have included our page’s 4 main keywords in our title, 3 of these keywords then show in our <h1> tag and the other appears in the <h2> tag. Google will now look through your content to see if you are repeating these keywords throughout your copy. It will also place greater importance on keywords placed in < strong> tags (to make them bold), <em> tags (to make them italic) and keywords placed in <a href=””> tags (to make them a link). Lists using <ul> or <ol> (numbered lists or bullet points) are also a good place to insert keywords. If you make sure that you insert all your keywords in these specific tags as well as in the main content yourself then you are off to an excellent start in optimising your website. One of the most important pieces of copy for SEO is the title tag. Having a strong, relevant, clickable title can have a major impact on rankings, click-through rates and overall traffic numbers. It’s true, title tags are one of the most important locations in which to include your keywords.